Equipment downtime is your operation’s worst enemy. Just like a car or house, a forklift requires maintenance and repairs after you purchase it. Taking a reactive approach to maintaining your forklifts can be accompanied by uncertainty and unexpected periods where forklifts are out of service. This can interrupt work flows that need to run smoothly for your business to succeed. This is why many companies that use forklifts opt for a routine maintenance plan. The two most commonly used maintenance plans in the material handling business are planned maintenance agreements and full maintenance agreements (also referred to as guaranteed maintenance). Both plans are designed to maintain equipment uptime, be proactive on potential repairs before breakdown, and ultimately save you money in the long-run. But is the difference between a planned maintenance agreement and full maintenance agreement? We break that down right here for you. Detailed inspections. Recommended repairs. Flexible billing. Tailor-made schedule. In my experience at a Toyota forklift dealership, these were expectations that come with a planned maintenance agreement. Many service providers have a detailed point inspection checklist the technician uses to inspect repair needs, potential safety risks, wearable items, and routine replacement parts. As technicians work through the checklist, he or she documents recommended repairs and provides service quotes to you for those repairs. After going through the inspection process and performing any necessary repairs, many dealers will then bill you and schedule in the next appointment based on both hour usage and date cadence. 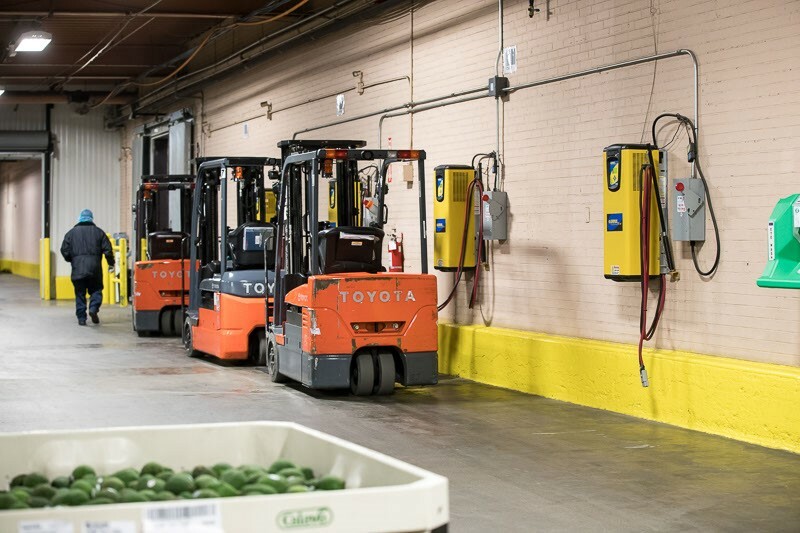 While this process might be slightly different with dealers throughout the Toyota dealer network, maintaining uptime for your forklift is the value of any Planned Maintenance agreement. At Toyota, we believe in the value of planned maintenance so much that we include four PMs in the first year when you invest in Toyota 360 Support Plus. New forklift investment and proactive maintenance should go hand-in-hand. Maintenance records, tracking, and regular reports. Pre-paid scheduled and breakdown repairs with the exception of repairs due to misuse, abuse, and wearable items. Replacement rental equipment for the covered repairs, without charge. Flat monthly payment with the exception of repairs due to misuse, abuse, and wearable items. With full maintenance, dealerships often take on the burden of overseeing the entire preventive health of your forklift. The true benefit is that the people who work with the equipment daily at the dealership now manage your forklift maintenance. When the dealership is able to work side-by-side with the customer, the dealership personnel is often in the best position to understand when to make repairs and replace parts before it affects your operation. This adds additional peace of mind when owning a forklift fleet. The monthly rate also helps you budget easier as the cost will not fluctuate from month-to-month. Ideally, you wouldn’t have to pay for every scheduled maintenance interval or the unexpected repairs that come with owning the forklift. Full maintenance monthly rates take into consideration a number of factors, such as equipment type, forklift utilization, age, service history, and the environment in which the forklift is operated. Every service provider may differ in the way that they offer maintenance agreements. Planned maintenance and full maintenance agreements, in general, follow what I outlined above. Define your expectations and take a long, hard look at a proactive maintenance for your forklift fleet. It’s up to you to work with a dealer and tailor the maintenance agreement to meet your needs.